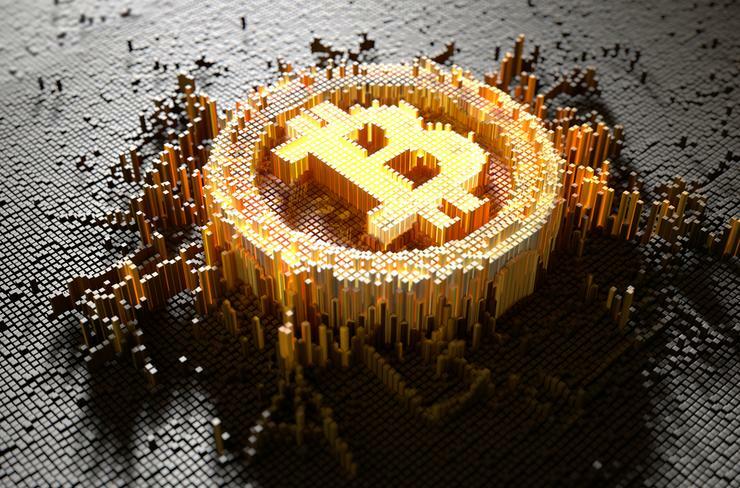 Bitcoin’s popularity has waned somewhat in recent months, as its current price of £4,908 ($6,337) is a long way below it’s all-time high of just over $20,000 on 17 December last year. Take a look at our guide on how to buy Bitcoin here. The cryptocurrency space has seen a rough year as a bear market continues to reign supreme. As with any market, it’s extremely difficult to point to a single reason as to why this is, but the cryptocurrency market being unregulated makes it even more susceptible for manipulation or even just emotional reactions. Bitcoin is currently operating just above its ‘operating cost’. To understand what that is, you first need to appreciate that the Bitcoin ecosystem runs off the backs of ‘miners’ who use powerful computers to complete complex algorithms to process transactions. These algorithms enter and encrypt records of Bitcoin transactions into the blockchain. The miners are paid for this work with new Bitcoins that are ‘mined’ as this work is completed. However, this is only profitable if miners have an incentive to keep mining, which means the price of one Bitcoin must always be slightly higher than the cost of mining it – otherwise the miners will stop and everything will grind to a halt. This means that the price of a Bitcoin shouldn’t drop below its current threshold for very long, if at all. However, as with literally everything in the cryptocurrency space, nothing is certain. Take a look at our breakdown on blockchain technology here. Bitcoin still holds a 54.2% market dominance over the space, and with the nature of how cryptocurrency is purchased, Bitcoin (and Ethereum) will be the first two coins to rise when (if) the market starts to pick up speed again. However, the ‘alt’ coins will see the biggest gains when the market really gets going. The space is, as ever, extremely interesting to watch and the next year will be as unpredictable as the last. With prominent analysts claiming that by the time Bitcoin reaches its 20th birthday its value could have increased by 5000%, this could well be the perfect time to buy, but claims like these are made fairly often in this space, so be sure to think very hard before you do any investing.